Course Website: Official Website - Visit Boston Golf Club's official website by clicking on the link provided. 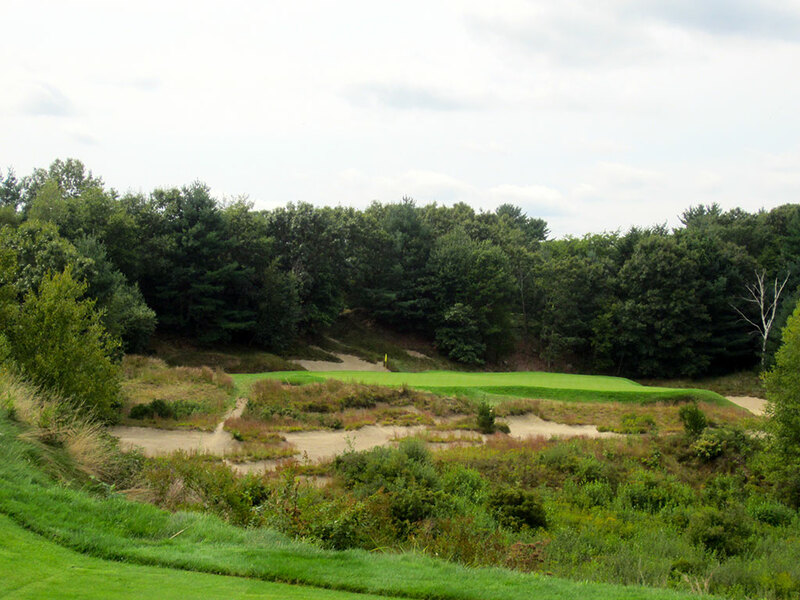 Accolades: Ranked 2nd in Massachusetts on Golf Course Gurus' Best in State list. 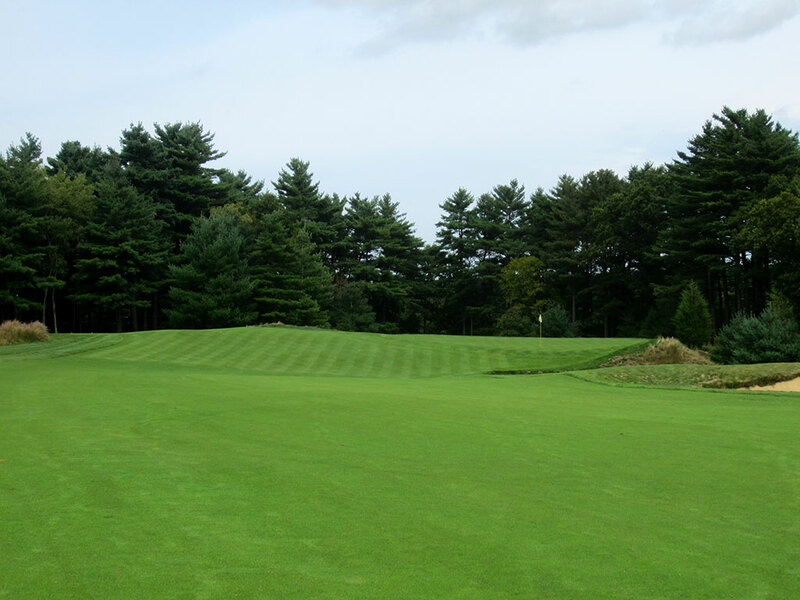 What to Expect: In the mid-2000s, Massachusetts was blessed with the arrival of two stellar courses south of Boston; Old Sandwich and Boston Golf Club. Gil Hanse was given the task of bringing Boston Golf Club to stardom and he was the perfect man for the job. Given more extreme terrain to work with than the Coore/Crenshaw designed Old Sandwich, Hanse still elected to minimize the amount of earthwork he did on the property which also results in a handful of blind/semi-blind shots on the front nine. 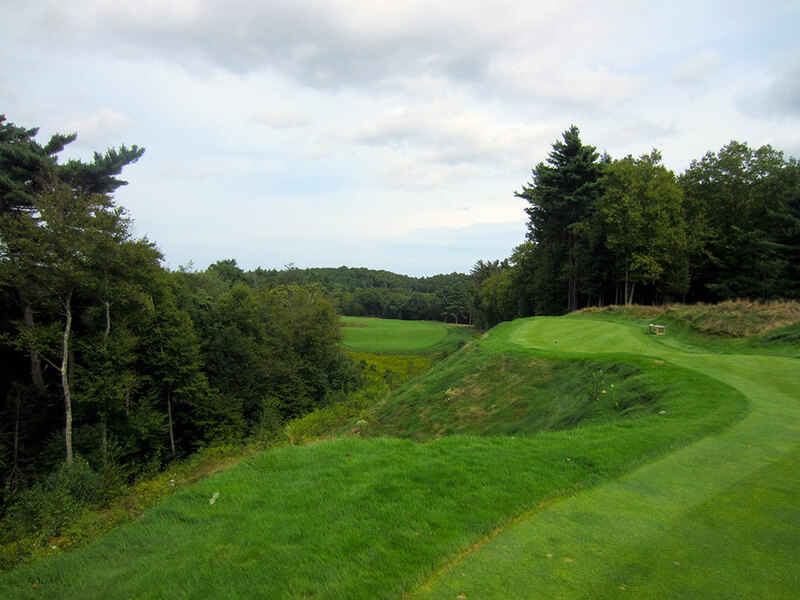 Boston Golf Club is walking only and the elevation changes result in a stout test, but not an unreasonable one. The longer back nine has tamer terrain but is more heavily bunkered than the front which offers a nice contrast to the design. There are several forced carries throughout the course thus making the aerial game a critical factor in successfully navigating the layout. The facilities are clean, simple designs that are cozy and inviting. 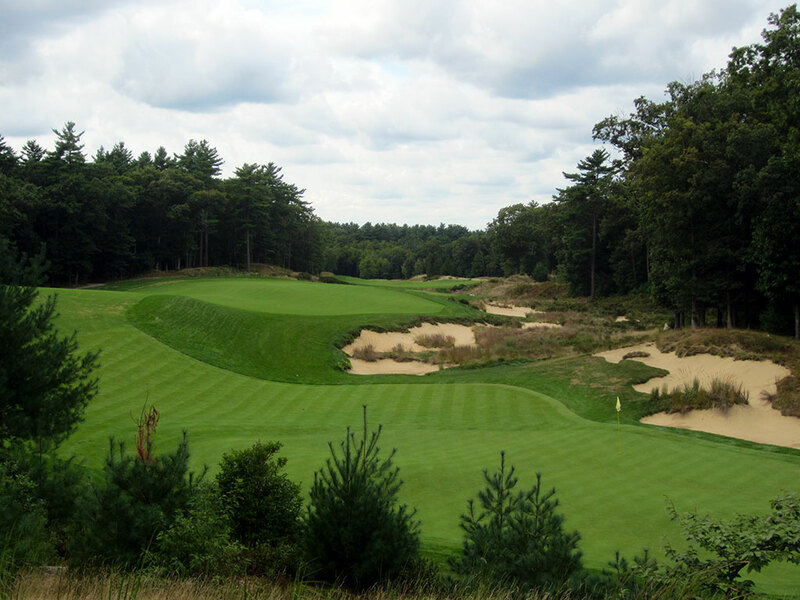 While there are similarities between Boston Golf Club and Old Sandwich, it is probably easier to identify the number of differences which is why it is ironic that the courses debuted together on Golf Digest’s Top 100 list T89th. Signature Hole: 18th Hole – 187 Yard Par 3 – The unique design feature of finishing a course with a par three is controversial for some and enjoyable for others. 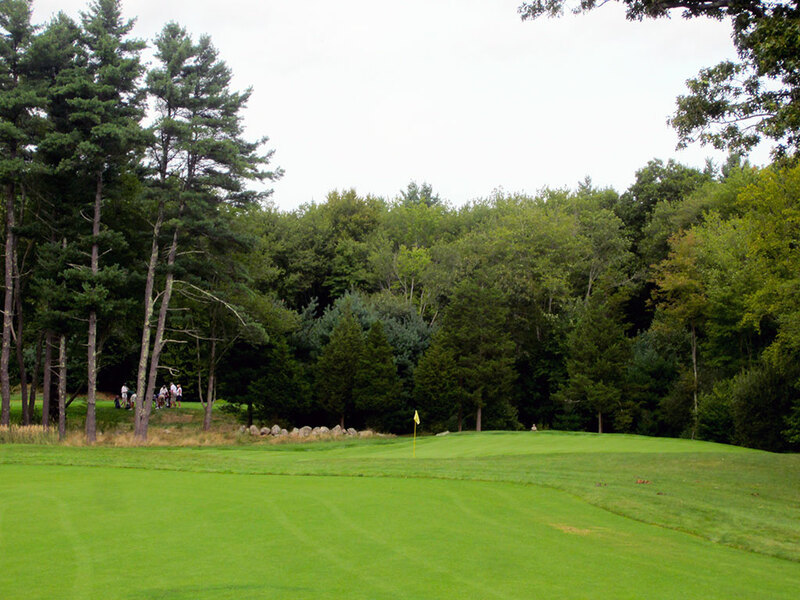 Boston Golf Club's final one-shotter is a gem that plays over a grass waste area to an elevated tiered green protected by a collection of bunkers short and right. 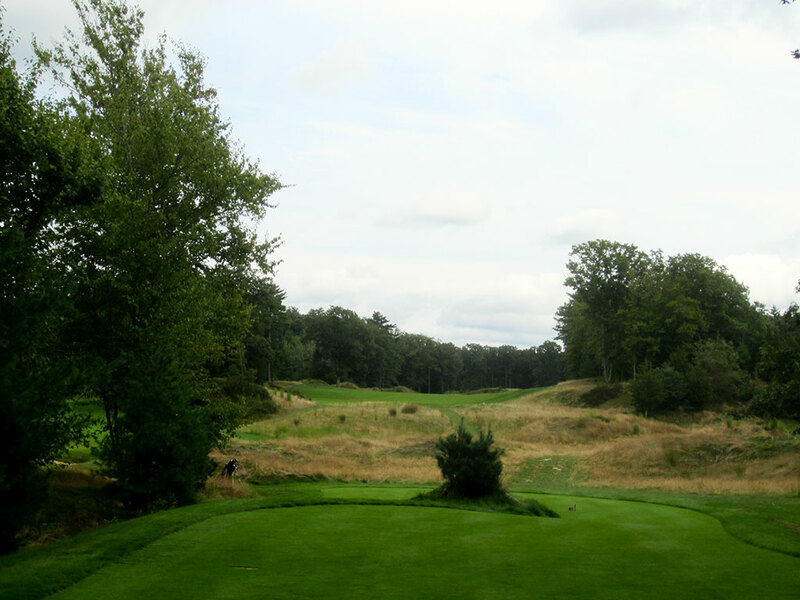 The green is built into a hill on the right and is surrounded across the rear by a thick crescent of trees. The quality design of the 18th hole creates a memorable finish to an extraordinary course. 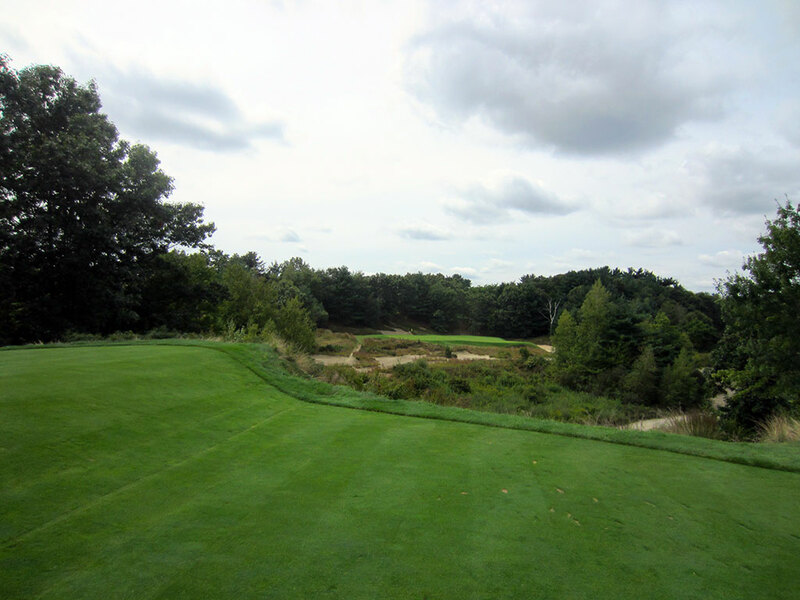 Best Par 3: 6th Hole – 159 Yards – There were a couple of times of my trip to the Boston area where I would look at hole and my mind would have a flash back to Pine Valley; teeing it up on the 6th hole at Boston Golf Club was one of those such moments. 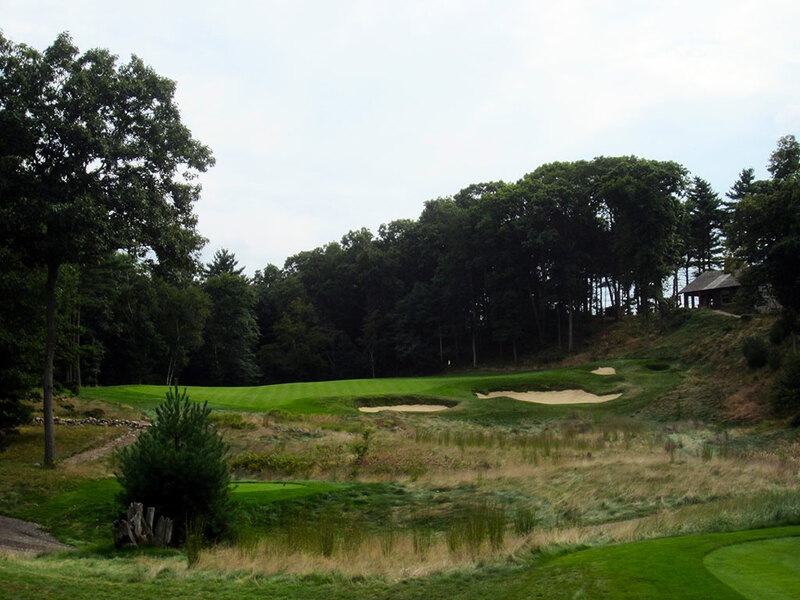 This relatively short hole is engulfed by sand and waste area while a thick group of trees sit on a hill in the background. I don't recall what tournament it was, but my caddie informed me that this hole played the most strokes over par over the course of the event. Baffled how such a short hole could cause so much trouble, the caddie informed me that many players spun their approach shots off the front of the green or flew it all together. So take a club you can swing 80% - 90% and drop it on the putting surface to avoid the surrounding trouble. 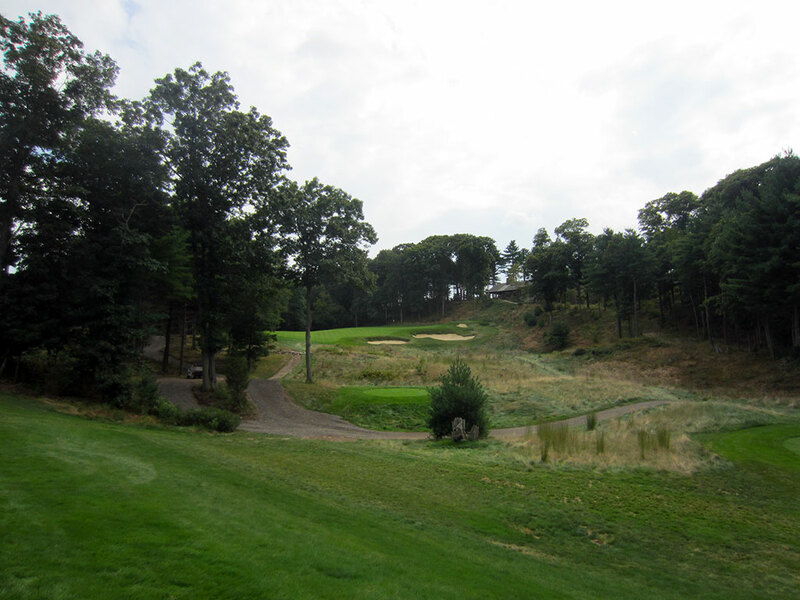 Best Par 4: 9th Hole – 466 Yards – When I got to the 9th tee I could quickly see that I was in for a treat. The back tee provides a commanding view of the hole where you are called to bomb a tee over a slight rise before plummeting to the tree lined fairway below. A waste area protects the inside of the slight dogleg left and should be avoided at all costs. The fairway climbs uphill before dropping off to a hidden hollow where the green rests out of view for most approach shots. The green lacks bunkering and relies on the semi-blind nature of the shot combined with an undulated putting surface to give it tee. 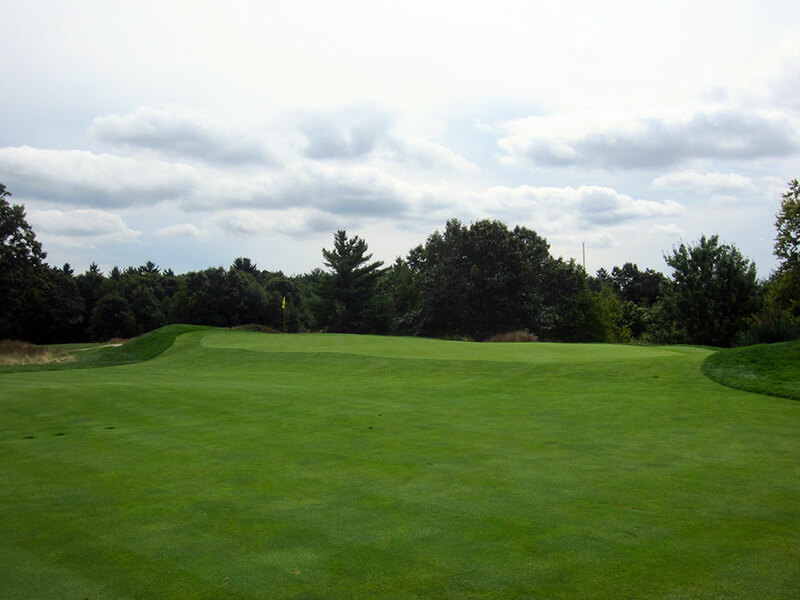 This was my favorite hole at Boston Golf Club and is certainly one of the finest par fours in Massachusetts. 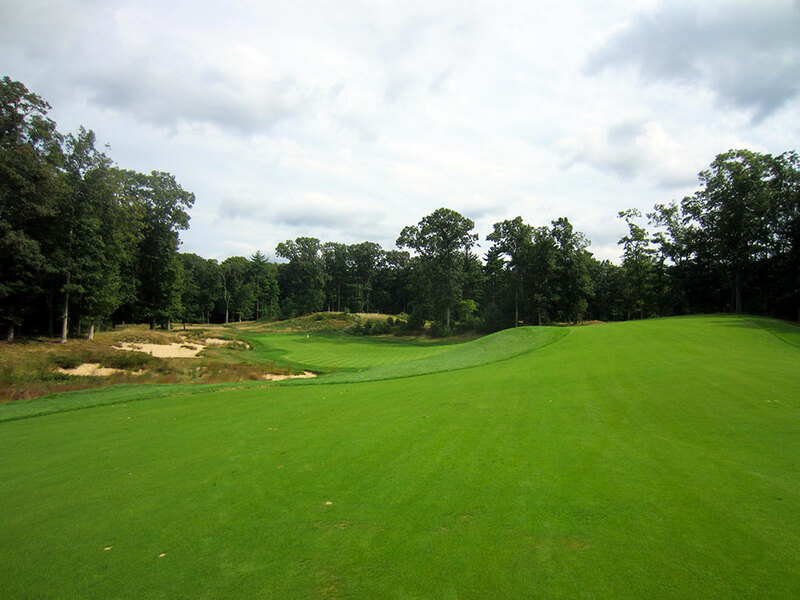 Best Par 5: 15th Hole – 589 Yards – Another Pine Valley moment presents itself on the lengthy 15th hole. 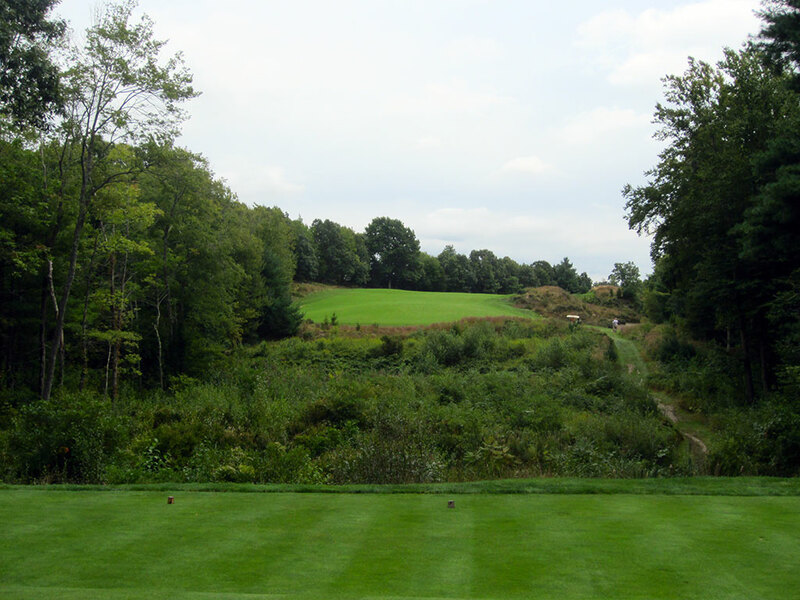 The fairways runs along a hillside on the right and borders trees on the left. 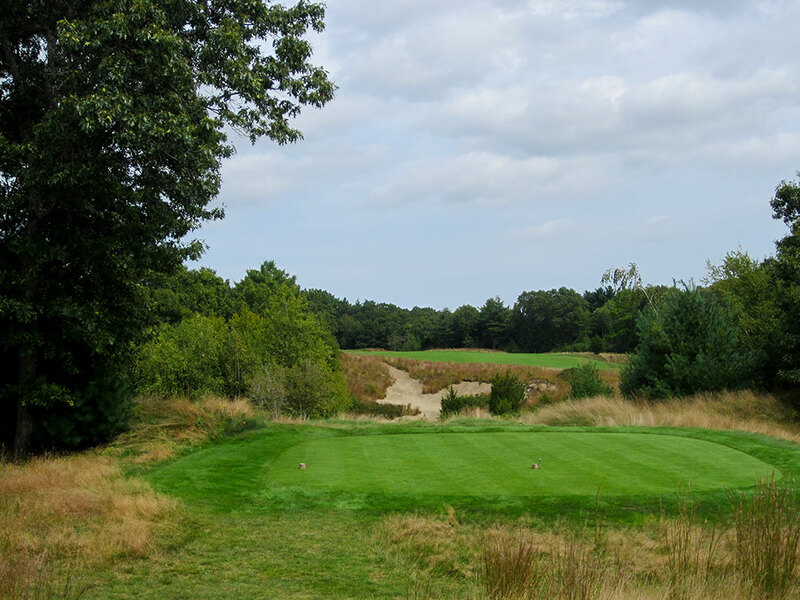 Like Pine Valley's famous Hell's Half Acre bunker on the par five 7th hole, the 15th at Boston Golf Club hosts a spacious bunker that engulfs an entire section through the middle of the fairway and requires everyone to fly it on their second or third shot. Your visual on your approach includes as much sand as it does grass as you try and hit the green that has a valley run through it. The safest angle is to come in from the right where a hill will bound balls back down to the putting surface. Birdie Time: 5th Hole – 317 Yard Par 4 – The driveable 5th hole presents an excellent opportunity to score well if you are disciplined enough to play to your strengths. The tee sits well below the fairway and green and calls for a towering drive that fades to the right. The narrow, raised green is difficult to hold with a driver, but driving a fairway wood or long iron up the left side of the hole will give you a short wedge into the green and an excellent chance to convert a birdie. This is one of Hanse's finest offerings on the course and is enjoyable to play each time around. Bogey Beware: 7th Hole – 456 Yard Par 4 – This demanding two-shotter requires your full attention and skill to conquer. A drive over a sand waste area is required before finding the raised fairway that is framed by trees. The tee boxes guides you out to the right side of the fairway which creates a more demanding approach shot to the green. From the right side you are faced with a carry over a pair of bunkers to a green that features a false front and little room for error. If you drive up the left side the bunkers aren't as big of factor, but the slope in the fairway fronting the green will kick balls to the right into trouble. A precision aerial ball with proper spin to hold the green is required the majority of time to have a birdie putt here.